Here are some more rose gardens. 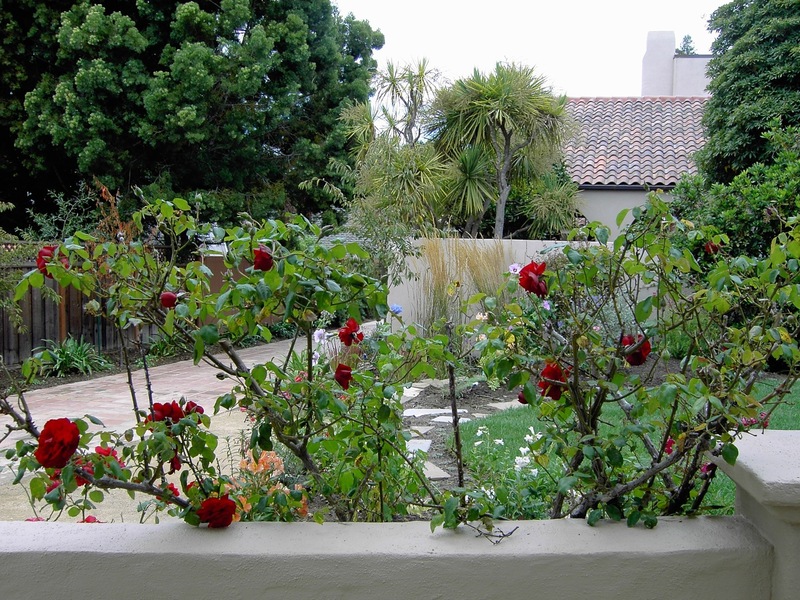 These two adjacent pictures show a long, low wall with old, red cane roses peeping over the top of it. 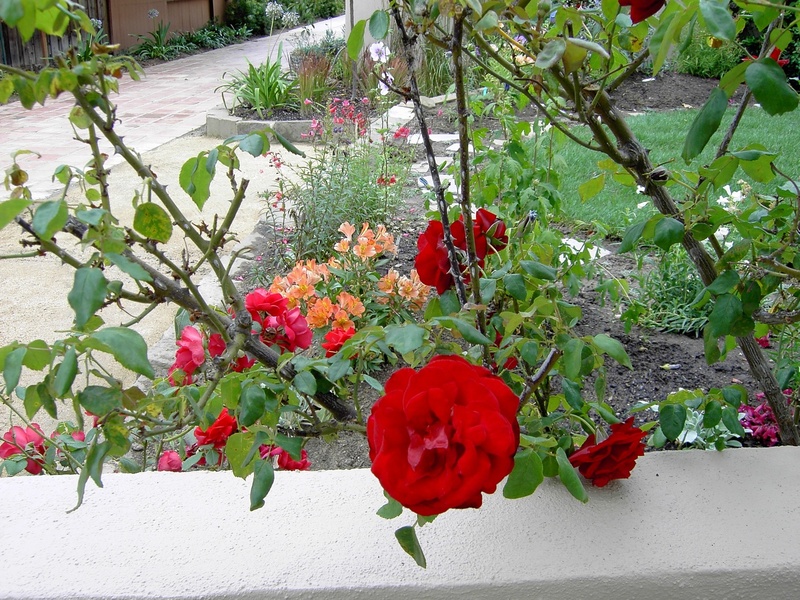 I think these are Paul's Scarlet roses - the ones that line the property line of Stanford University along El Camino. They are an old rose - not one of your modern day upstarts! A heavy dose of chicken manure helped recovery. San Mateo. The roses were almost dead and very diseased when we started the garden.We cut them back and removed all of the "black spotted" leaves, leaving only a marginal few which could serve the plant. Within six weeks of the irrigation being installed the roses had sprung new shoots and are now full of buds with a few flowers, as seen here. San Mateo.